The first thing you have to take a good look at is how much money you can really borrow to buy a car. If you do not want to risk losing your car, make sure you can comfortably do the monthly repayments of your loan. Your calculation should be based on how much you earn on one side, and on the other, what are your monthly expenses at that moment. After you have that number in hand, you can use one of the available car loan calculators and see what is affordable for you. You will have to decide what kind of terms you want from your car loan: It might seem easier to have lower monthly repayments, but in that case the loans run longer and your debt is longer too. 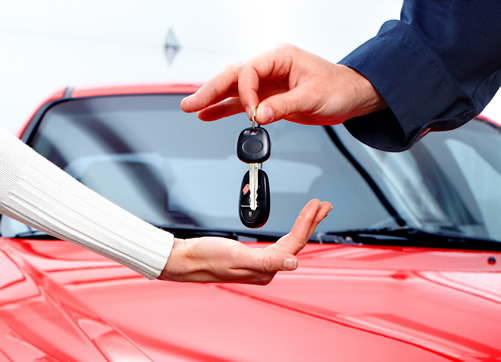 A good loan deal comes first, the car itself comes second: Before you even start looking at a specific car, and based on the calculated amount you can borrow, start shopping for a competitive car loan. Have in mind all the extra costs: There are always extra costs when you are buying a new car, like car insurance, which can sometimes be quite high. You should see whether it is better to include this in the loan itself or whether you should pay these costs separately. Don’t simply jump onto the first deal offered. There is a good reason, for example that used car salesmen have a bad reputation, particularly when they offer a car loan. Know exactly if there are any other extra expenses tied with the loan and how much are they. Checking with different loan providers, and you can do that easily online too, means that you will have different financial options and that you can choose the ope that suits your needs an capabilities the best.